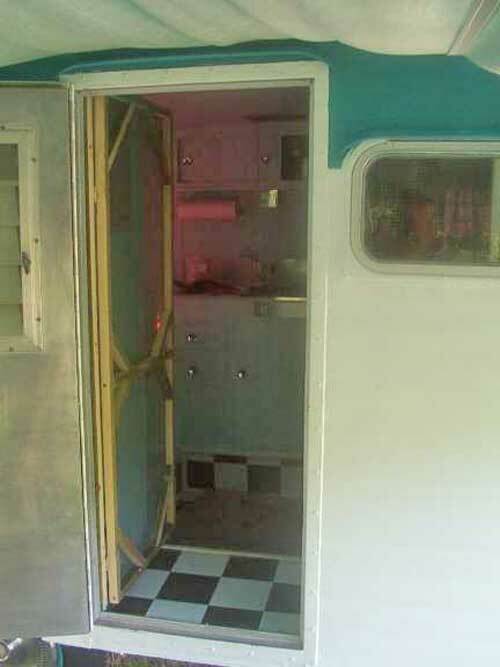 Don says: his early Scotty didn't have a screen door, so no hinges for it on the outer door track. 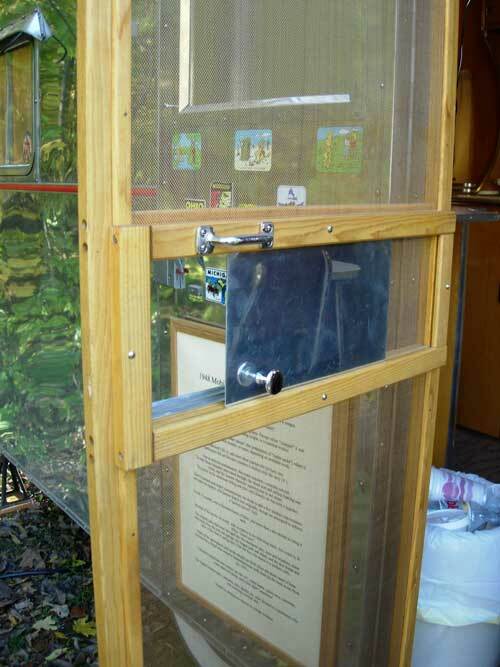 I found that I could mount the door on the inside and have it swing inside. Our Scotty has a floor to ceiling closet by the door so it was easy to attach the screen door to that. 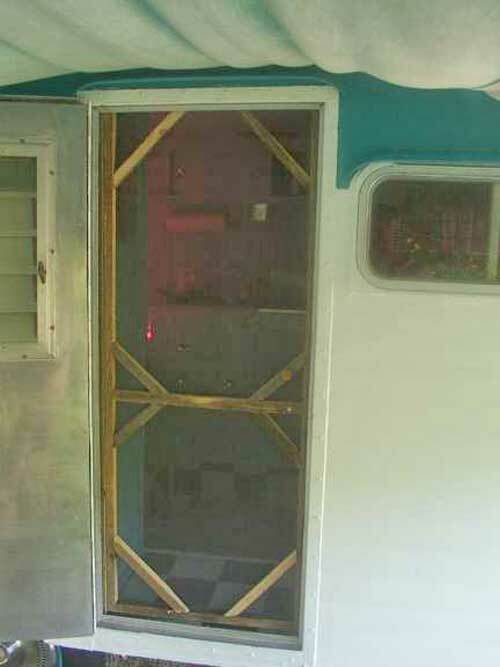 If I were to make it over using nice wood I would adjust the position of the cross bar so it doesn't hit the door handle when closed. 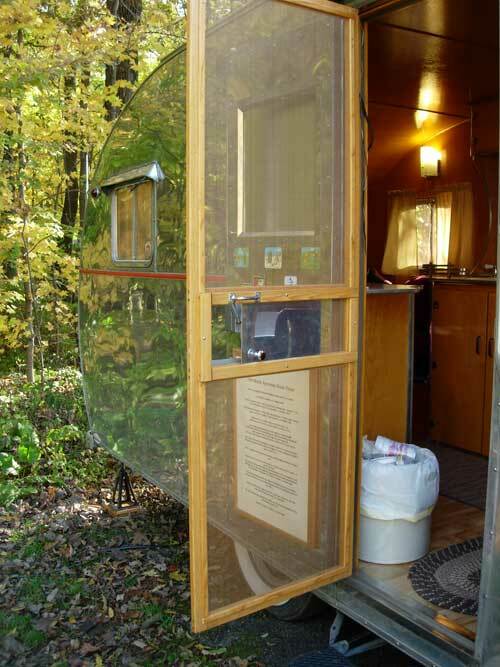 When traveling I figure I will latch the screen door to the closet. 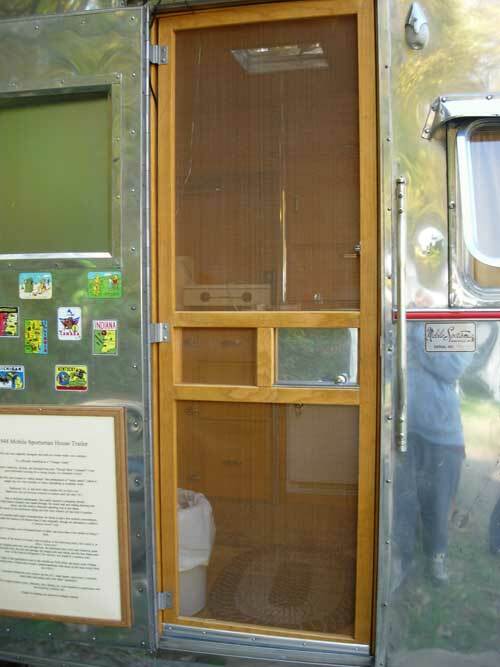 Rob Hesselmann's screen door - in a Mobile Sportsman, not a Scotty.